Hello! Thanks for stopping by. 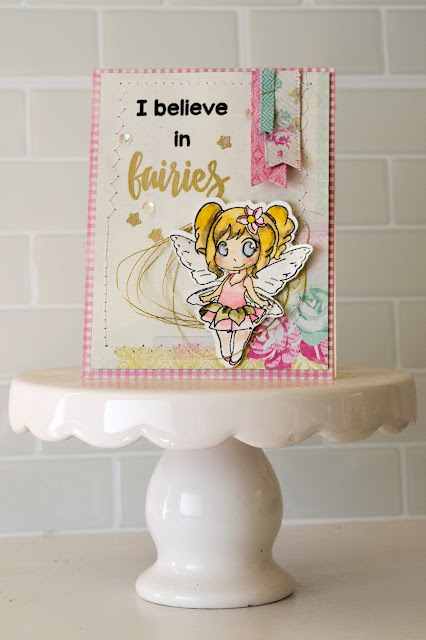 Today, I am up on the Oak Tree Stamps blog with this fun card featuring the Fairy Stamp Set. This is such a great stamp set for so many occasions. I also used the sentiments stamp set by Oak Tree. The stamp sets come with free digital dies, meaning you can upload the dies to your die cut machine and have a perfect outline for your stamped images. LOVE that feature.